I know all the information about how beneficial spiders really are. The amount of bugs they eat and so on and so on. But even knowing this, it really bothers me to see them in my house. I am sorry but personally they just creep me out. I know that I am not alone on this one. You can know how beneficial they are and still not want them around you. So if you are like me then this tutorial is for you. 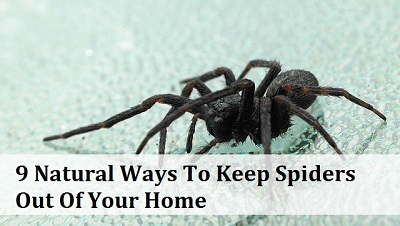 9 great, natural ways to keep those spiders at bay. Have a look through this tutorial as I am sure you will find some use for it.